Pattaya is no place to be for out of luck foreigners, this unfortunate fellow was “down and out on Pattaya Beach”. Technically, he’s probably not a hobo, the dictionary refers to a hobo as “someone who only works when they have spent all their money”, he probably wishes that he could technically be a hobo. 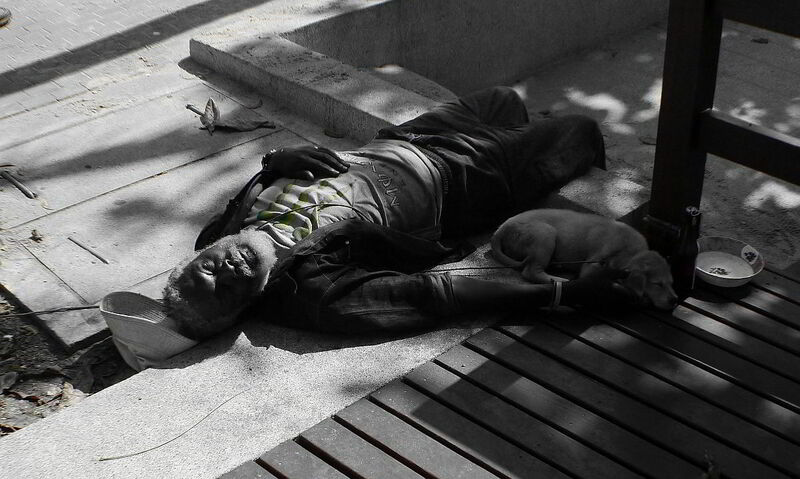 Down and Out in Pattaya.